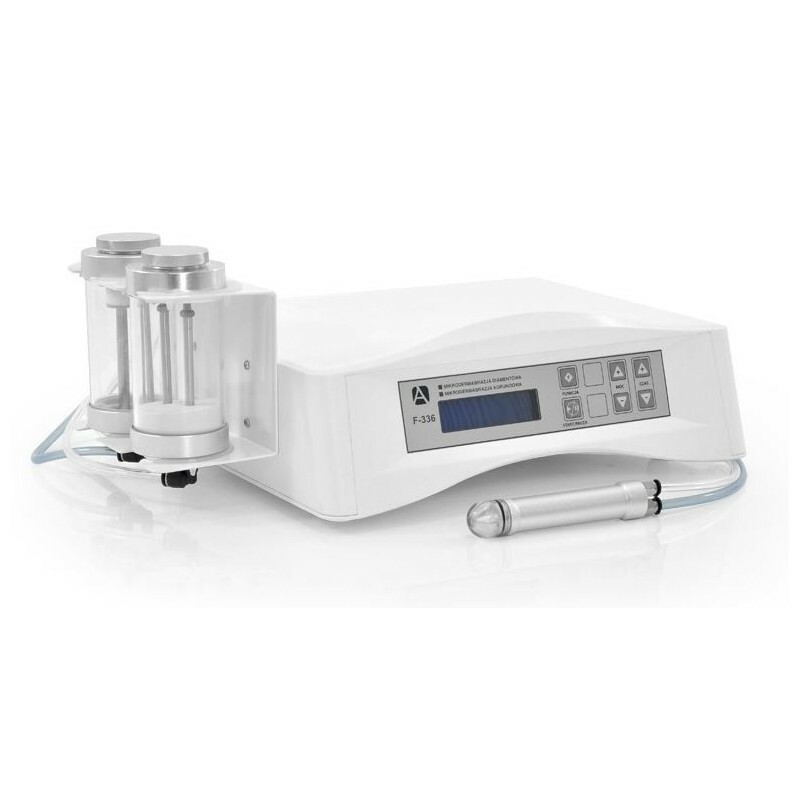 Microdermabrasion device with aluminium oxide crystals. It is used for noninvasive exfoliating treatments. It is a very effective method to remove the pigmented skin cells.